This week in Jerusalem a new normal has taken over the city. It’s a tenuous calm that prevails until I notice a lone man walking towards me with his hands in his pockets and I instinctively pick up my pace. But friends here don’t see the new normal as a nod to peace. One woman tells me that she is more frightened now than she was during the second intifada when buses were being blown up. She could better calculate then the risk she was willing to take by shopping in a crowded market or riding the bus home from work. This time, there is no obvious calculus for safety. It is a time fueled by the arbitrariness of panic and adrenalin. This was also the week President Clinton was in Tel Aviv to remember his friend Yitzhak Rabin on his 20th yahrtzeit. Clinton spoke in the square that commemorates the late prime minister—the square where an Israeli Jewish zealot gunned down Rabin. The various estimates I’ve seen of the crowd’s size for the memorial—numbers that range from 40,000 to 100,000—tell me that many Israelis not only mourn Rabin, but also mourn the dashed hopes for peace in the wake of his death. Clinton’s charge to the crowd— “to decide when you leave here tonight…how to finish the last chapter of [Rabin’s] story”—was pointedly singular in its directive. Clinton’s words especially resonate during this current rash of violence—a violence that is both blurry and distinctive for its randomness. These polar states of fuzziness and clarity are also the underpinnings of coexistence in Jaffa, a mixed town at the southern edge of Tel Aviv. The Arabs call this very old city Arous al-Bahr—the bride of the sea. Arabs and Jews have always lived here together. Pre-statehood the majority was Arab, but in the beginning of 1948, even before Israel’s War of Independence, Jaffa collapsed when its wealthier Arab residents and community leaders sought refuge in places like Lebanon and Syria. Jaffa surrendered and was taken over by a Jewish majority. Today the city is part of the Tel Aviv-Jaffa municipality. Coexistence in Jaffa is neither violent nor friendly. There are no knives here, nor are there any olive branches. Jews and Arabs live alongside each other leading parallel lives, except for the Jews who step out to eat the famous hummus on Abu Hassan Street. Soldiers on furlough comfortably stroll the cobbled streets. The old flea market here has given way to trendy clothing shops and art galleries. I brought an Israeli friend with me to Jaffa. He jokingly calls himself my fixer, which means he acts as both tour guide and steadfast translator during my afternoon in the city. We walk the streets of Old Jaffa taking in the sea, eating the freshest hummus I have ever tasted, and making our way to the Arab Jewish Community Center (AJCC) in the Ajami section of Jaffa. It’s a 20-minute walk from the city center and along the way we see another kind of blending—ramshackle houses just yards away from expensive condominiums. 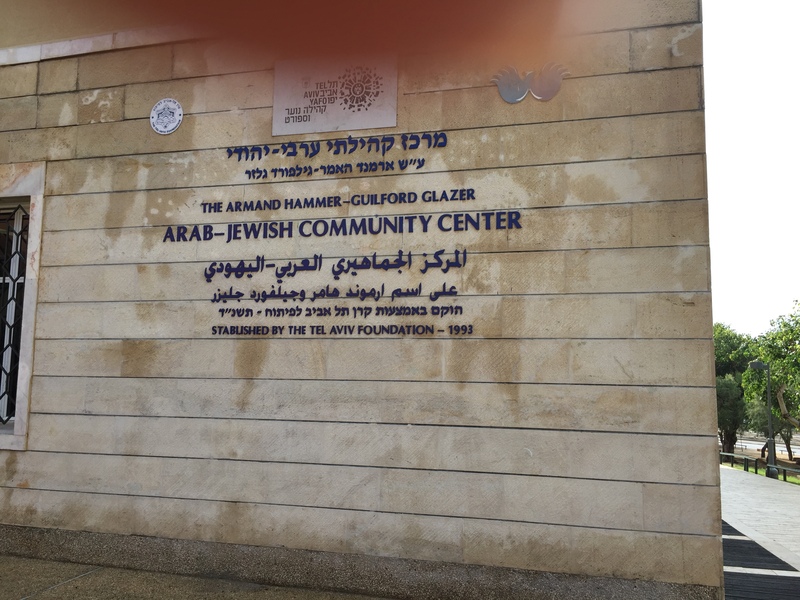 Founded in 1993, the AJCC is a cornerstone of this Arab neighborhood. It aims for the look and feel of an American Jewish community center. It offers school children and teenagers after school programs called chugim or electives that range from dance, gymnastics and martial arts to tutoring in the newly constructed library. The AJCC,, which also aims to undo the de facto segregation of Israeli society, is not unique in that quixotic goal. What is different is that the Tel Aviv-Jaffa municipality underwrites part of the center’s expenses. According to a staff member at the center no other overt peace initiative has that kind of city government funding anywhere in Israel. In addition to the various chugim, the AJCC sponsors classroom exchanges between Arab and Jewish schools, a youth parliament that focuses on diplomacy and three choirs that perform their own ecumenical outreach. Numbers are important in these endeavors. The activities are purposely populated with an equal number of Arabs and Jews, and tolerance is the watchword associated with them. It may just be a matter of semantics, but I bristle at the word tolerance. I hope and pray Israelis and Arabs go beyond tolerance to loving kindness and ultimately peace. But for now tolerance is how people survive in Jaffa. Still I give the AJCC credit. Its policy of tolerance encompasses a celebration of differences too. Children who would normally not interact with one another come together here. And the center also fills in a vacuum for Arab schools that lack the facilities and funding for extra-curricular activities. 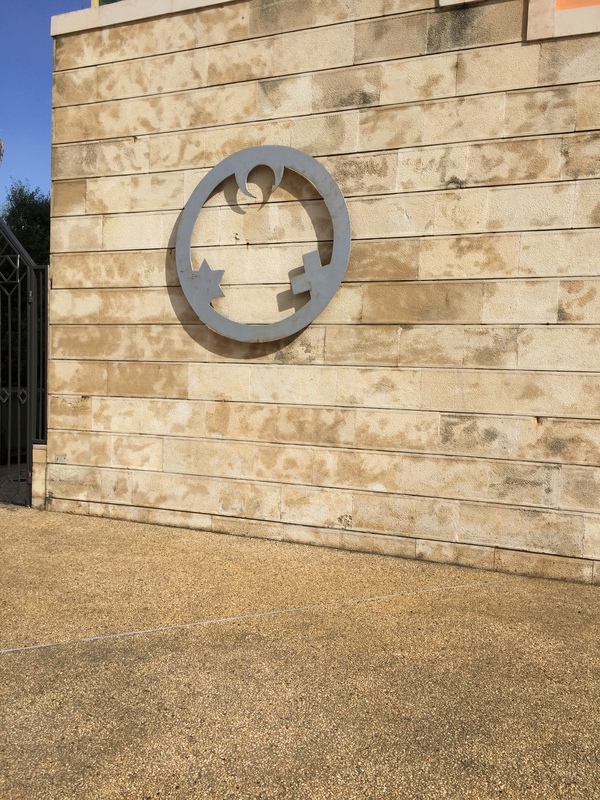 As I left the center I fantasized that the philosophy behind the AJCC’s programs could one day be part of a different, better new normal in Israel. And as I reflect on President Clinton’s words, I think that maybe this is also the place to begin the last chapter of Yitzhak Rabin’s life story—a story that has yet to unfold.